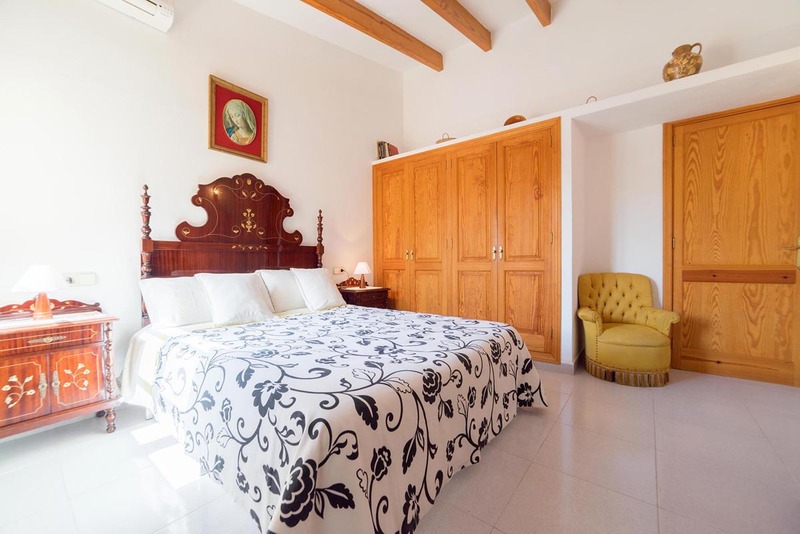 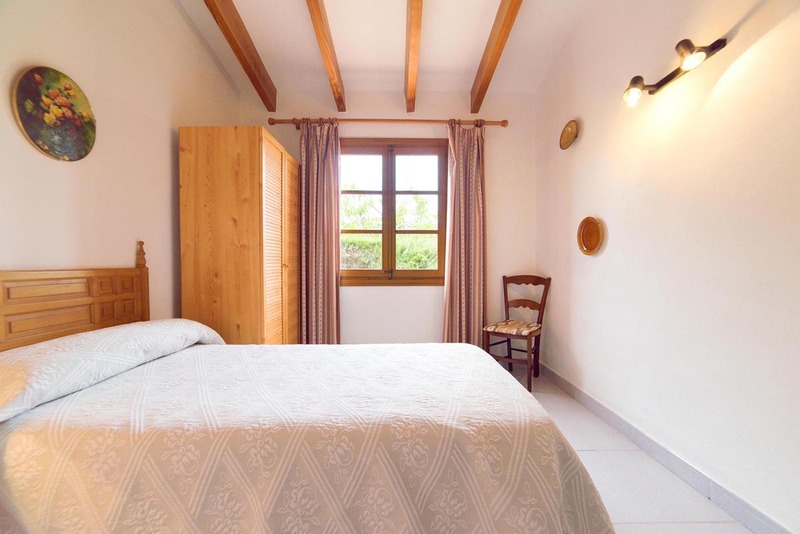 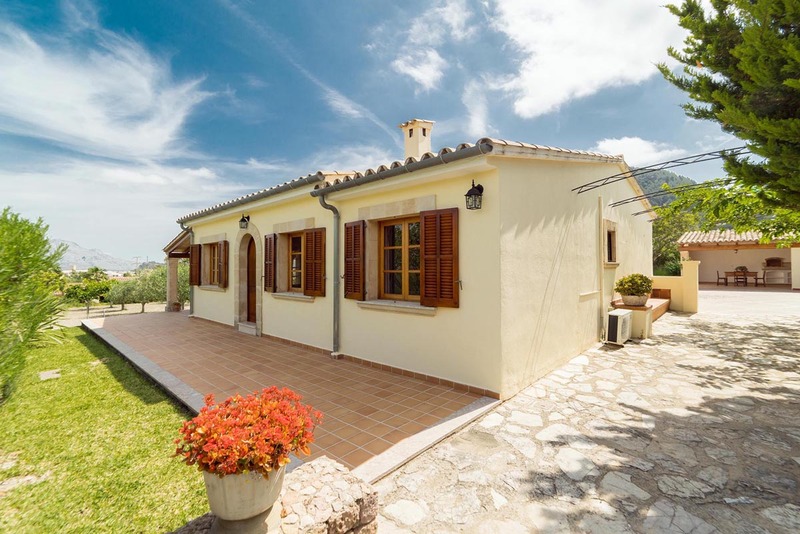 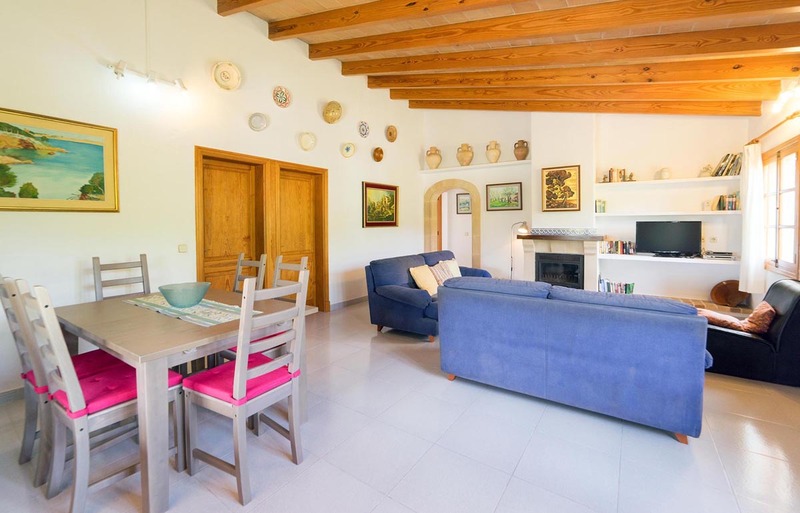 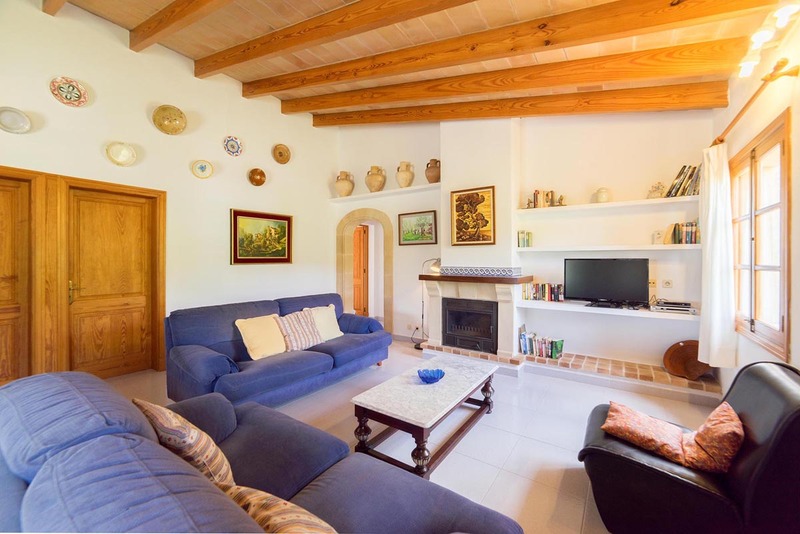 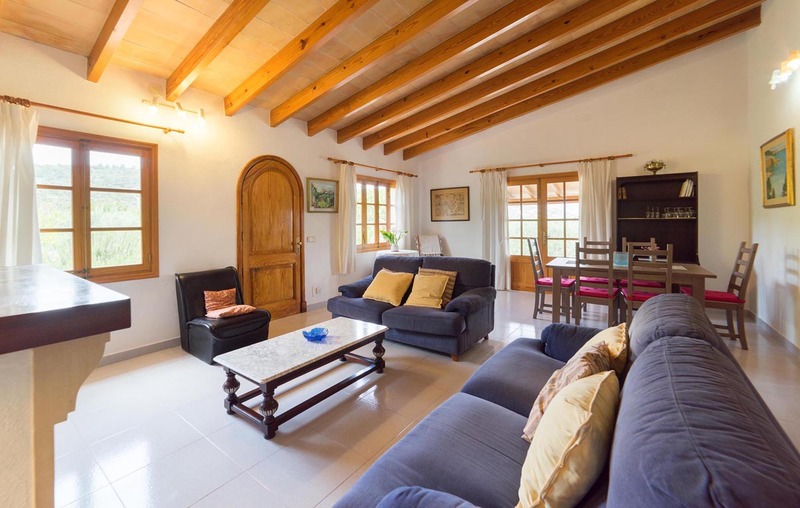 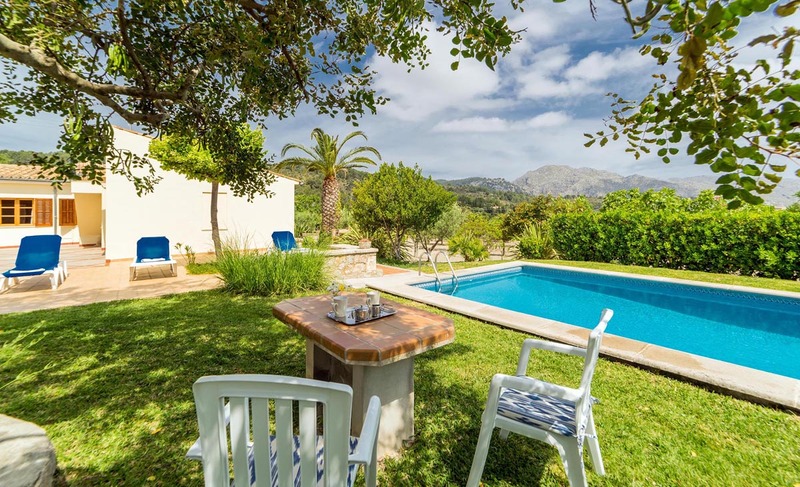 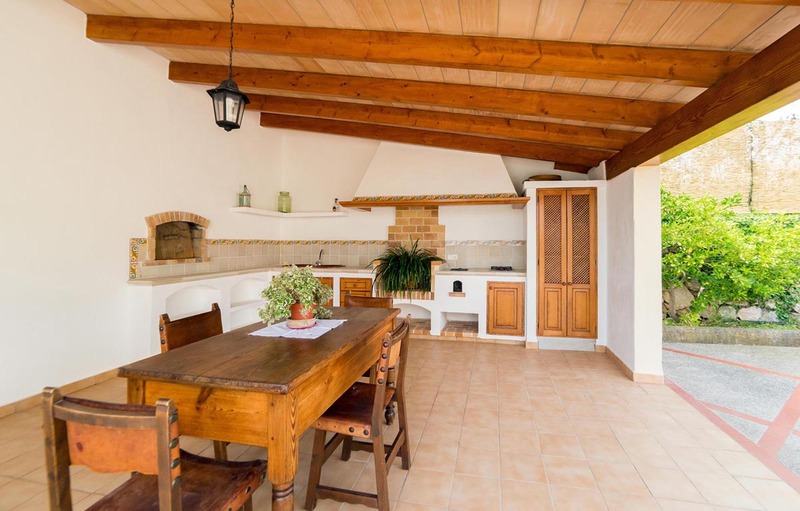 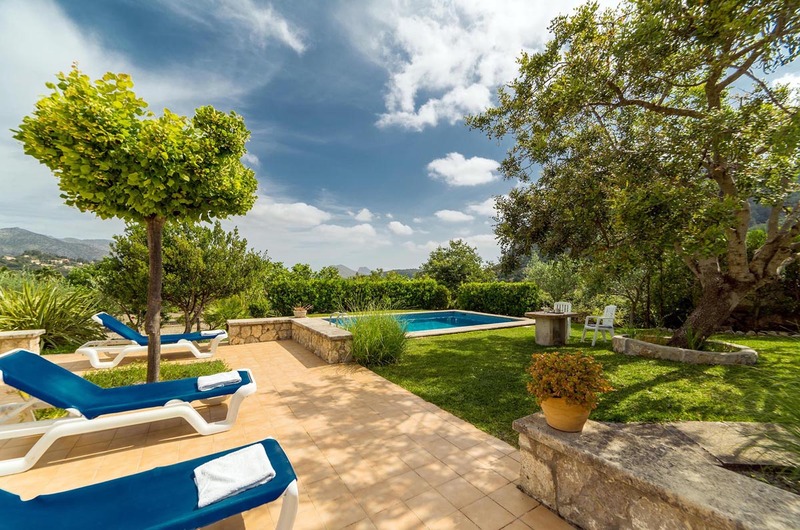 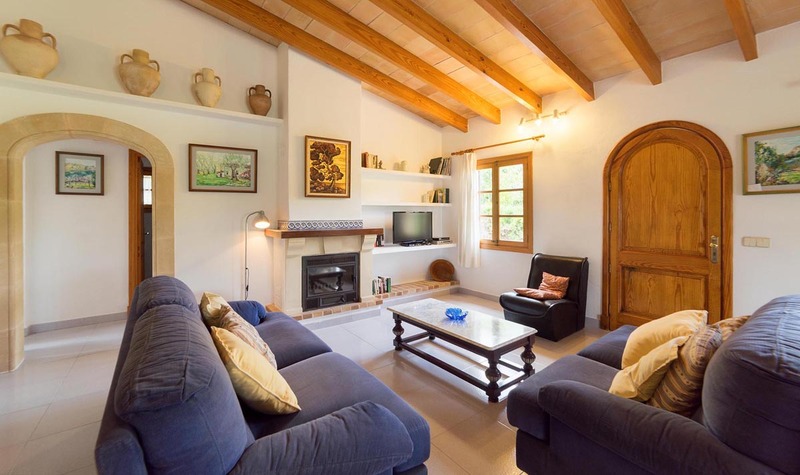 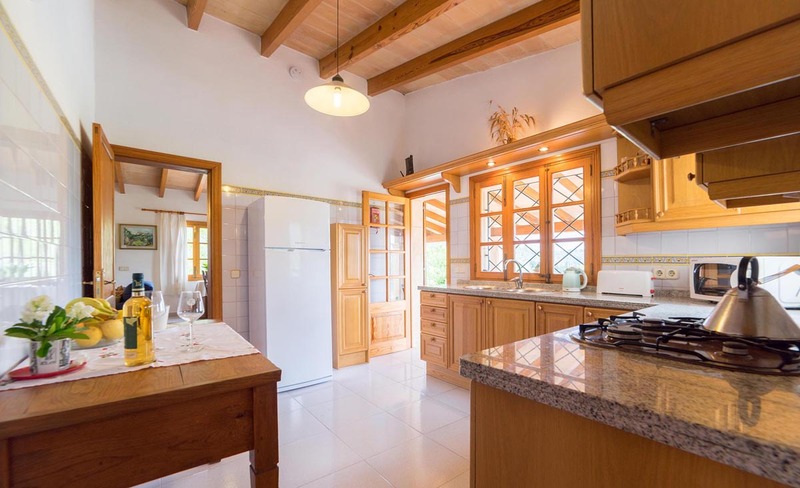 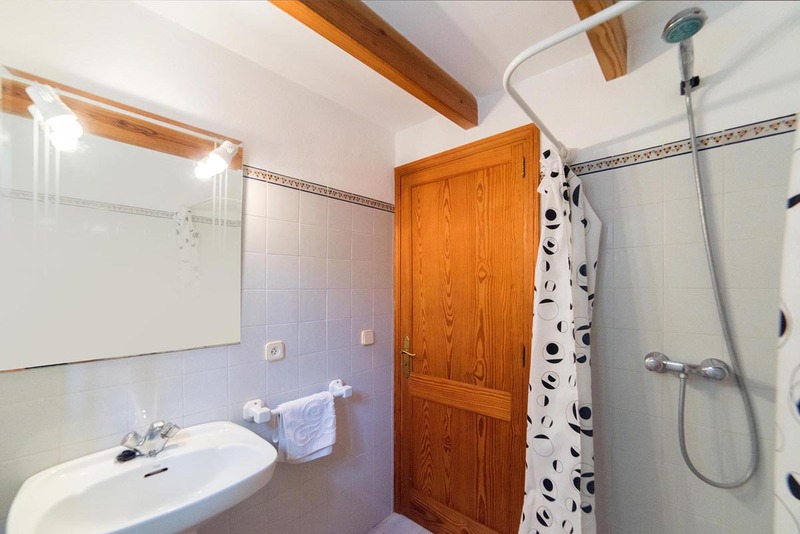 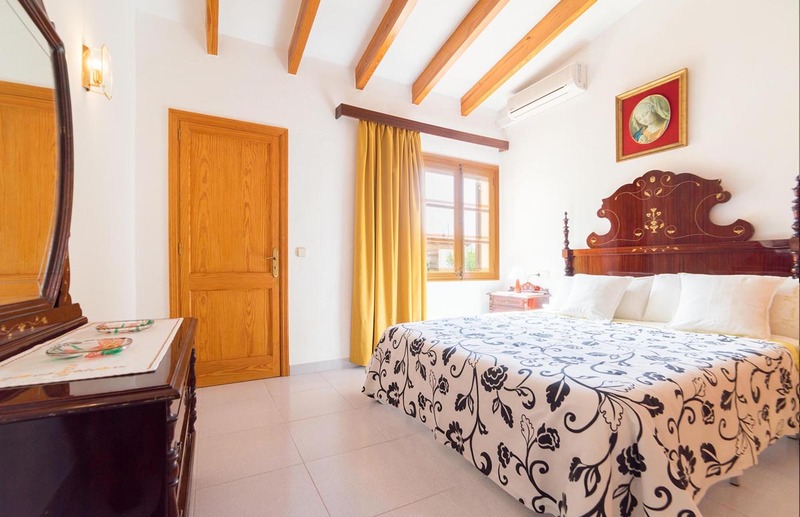 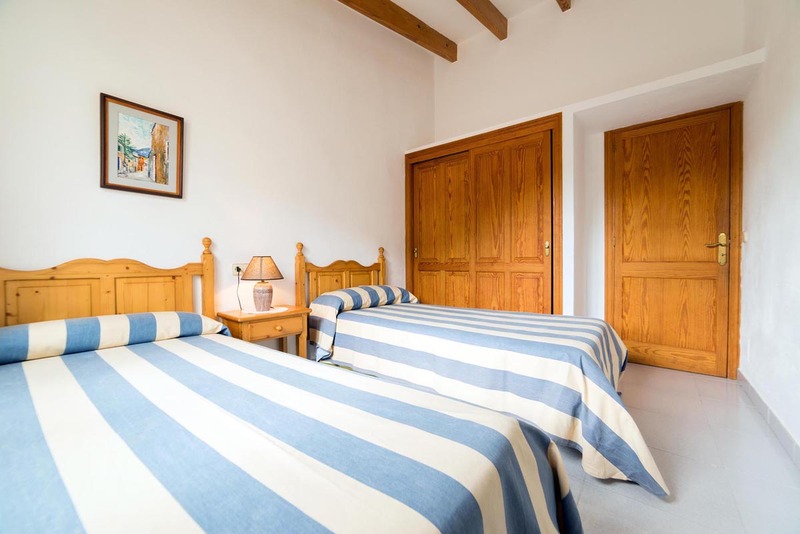 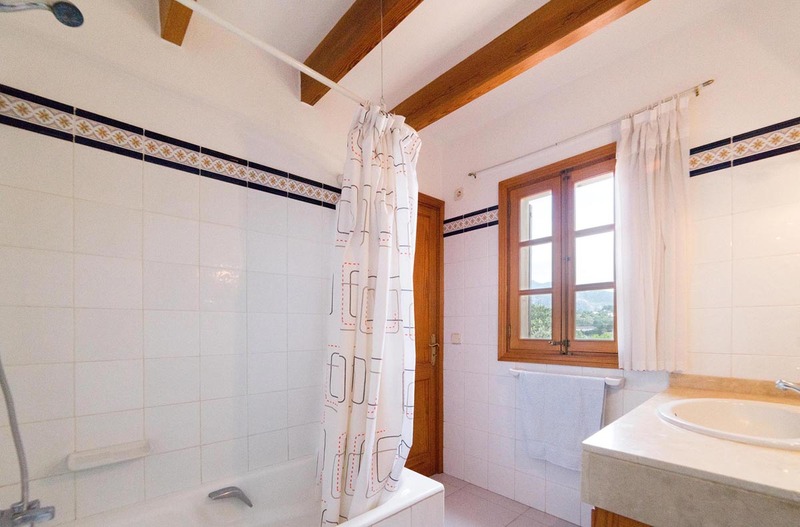 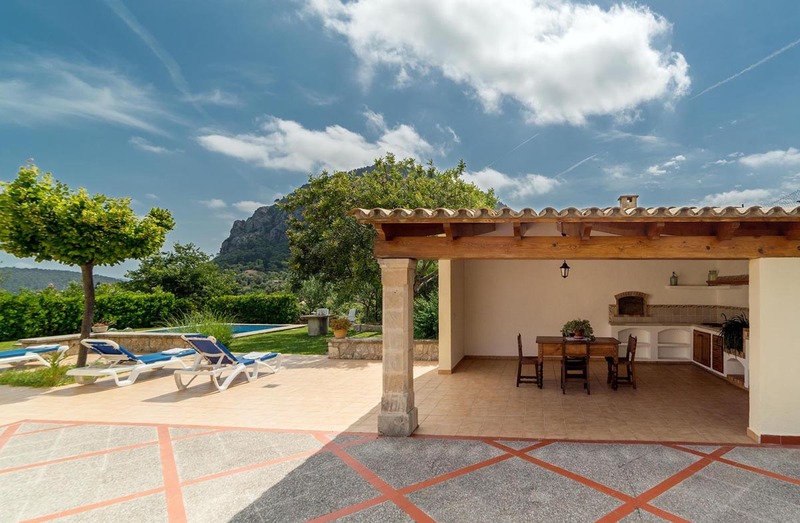 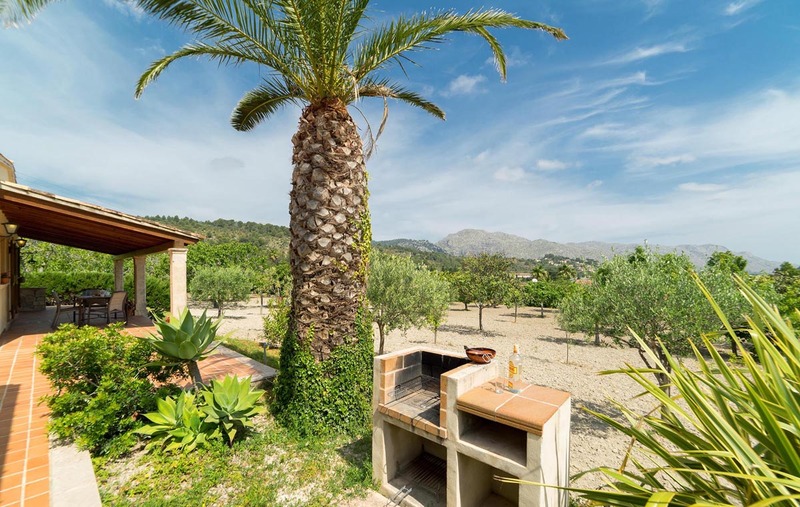 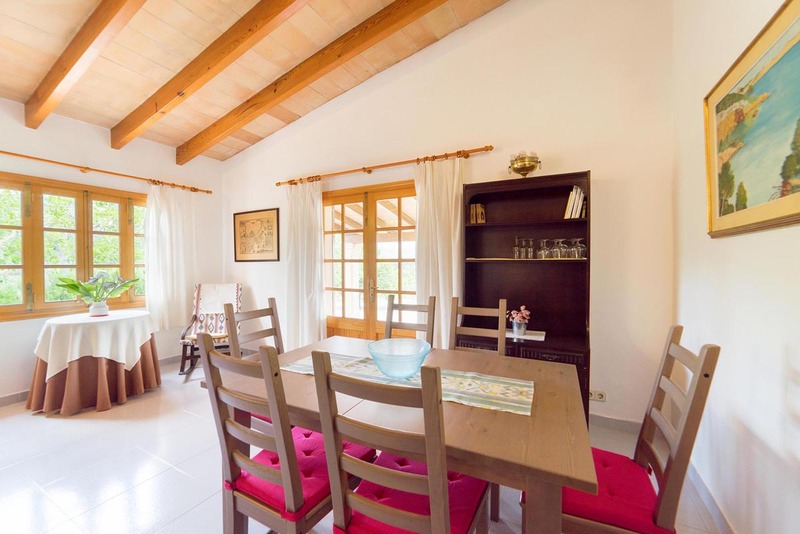 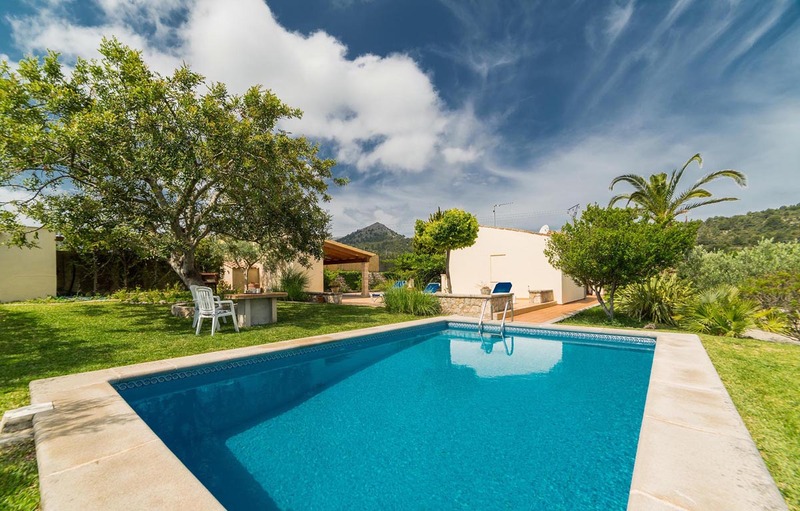 Villa Maria Martin is a charming villa in a superb location, conveniently situated approximately 700 metres walk down to the historic centre of Pollensa and its beautiful square with a great selection of restaurants - an ideal holiday retreat with wonderful mountain views, set in lovely gardens. 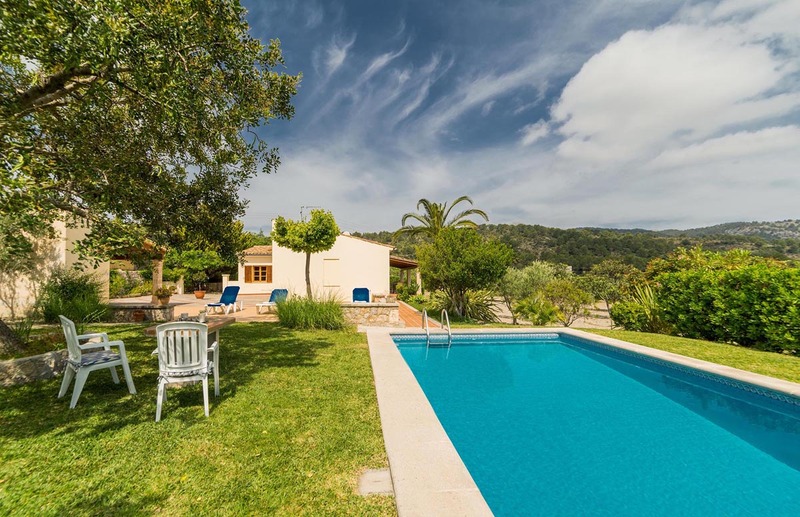 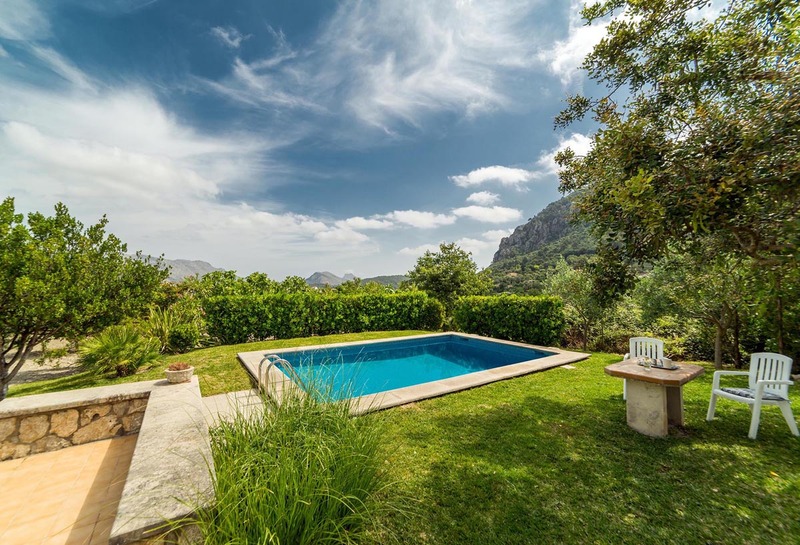 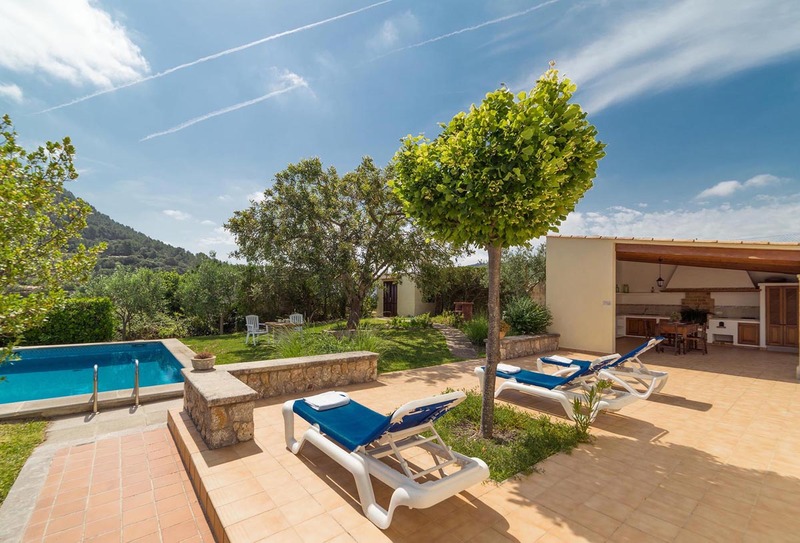 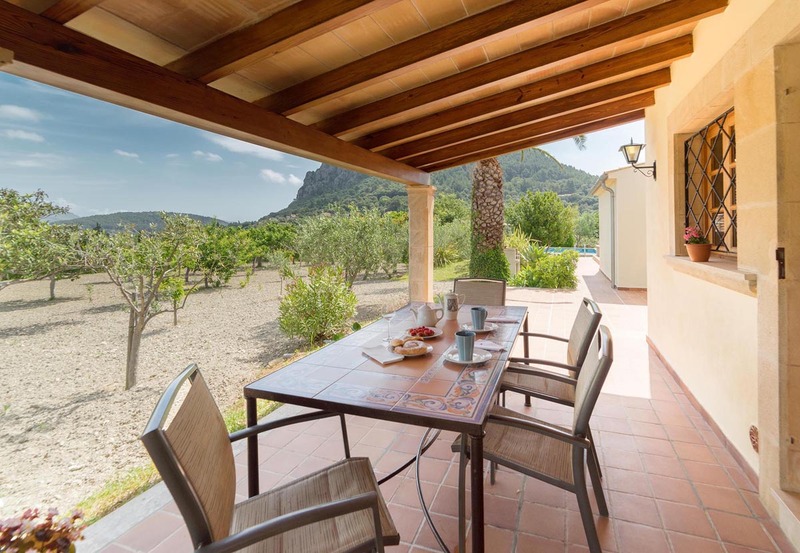 The single story villa enjoys splendid views of the local countryside around Pollensa, especially the Puig de Maria mountain and its monastery. 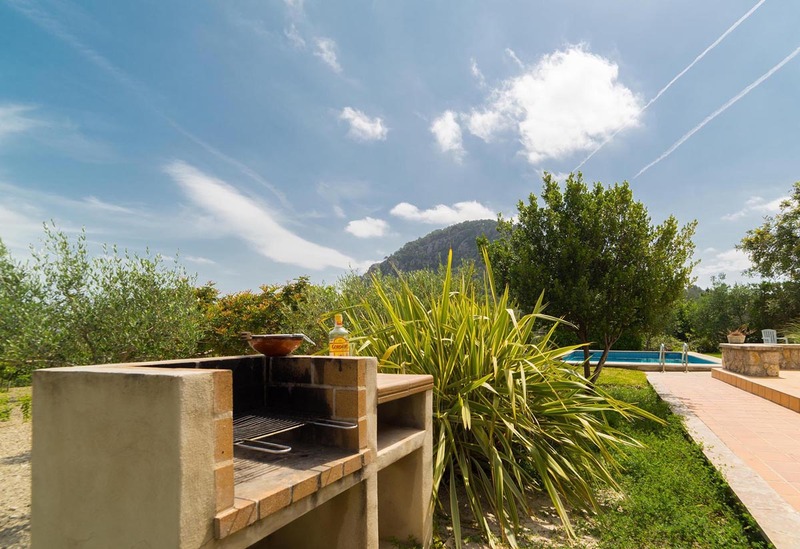 The mature gardens, barbecue and outdoor kitchen area are the perfect spot to enjoy the views whilst preparing an al fresco meal. 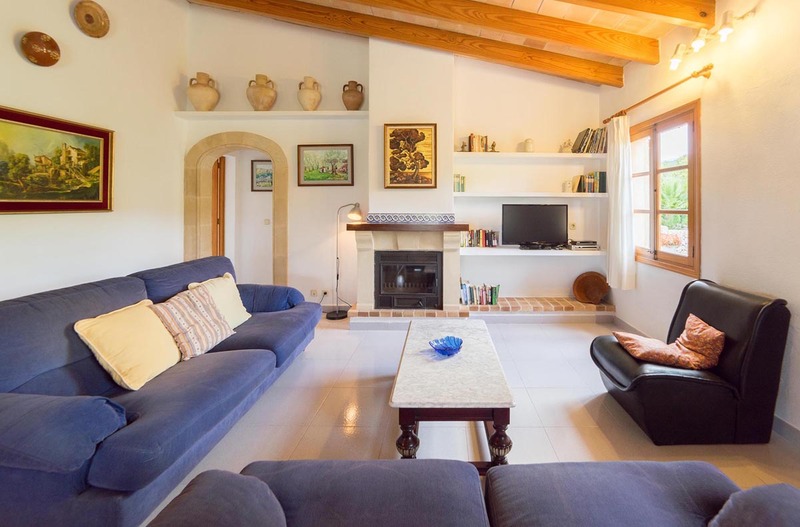 Inside the house there is a large lounge dining area with high beamed ceilings and two sofas with TV and dining table with chairs for six. 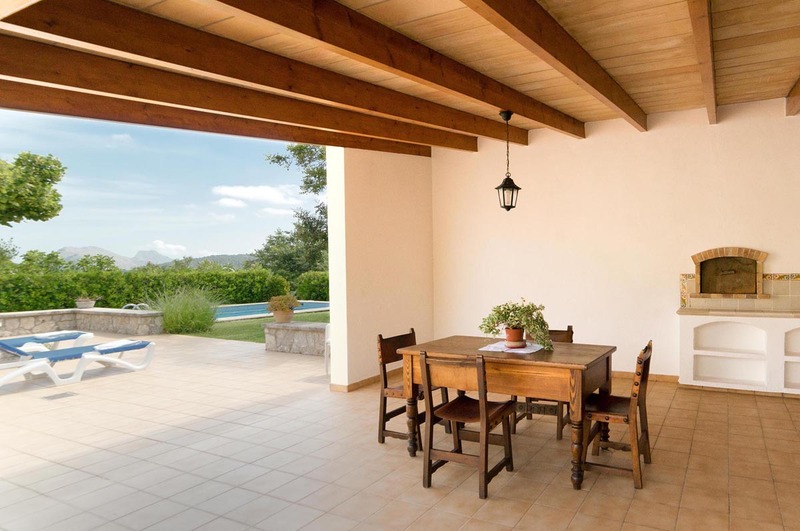 Patio doors provide access to the covered terrace. 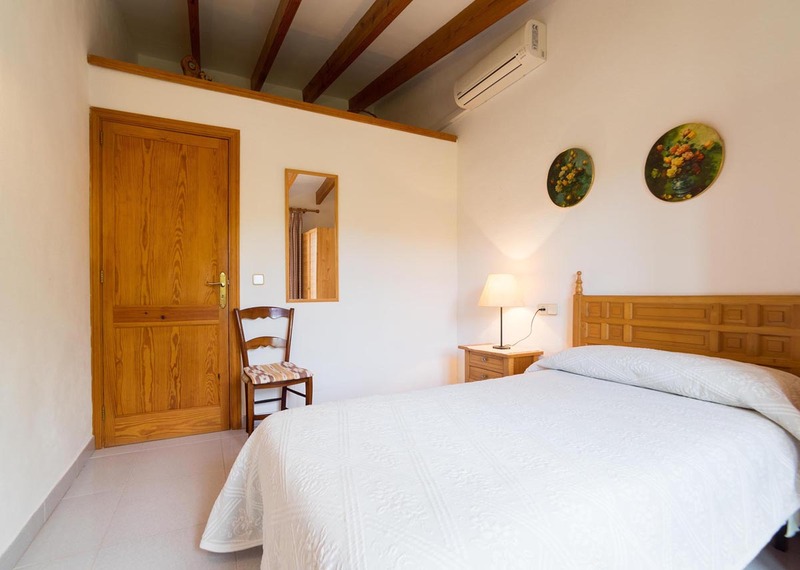 The bedrooms consist of one double, one twin and a single room which all have access to a full bathroom and a shower bathroom. 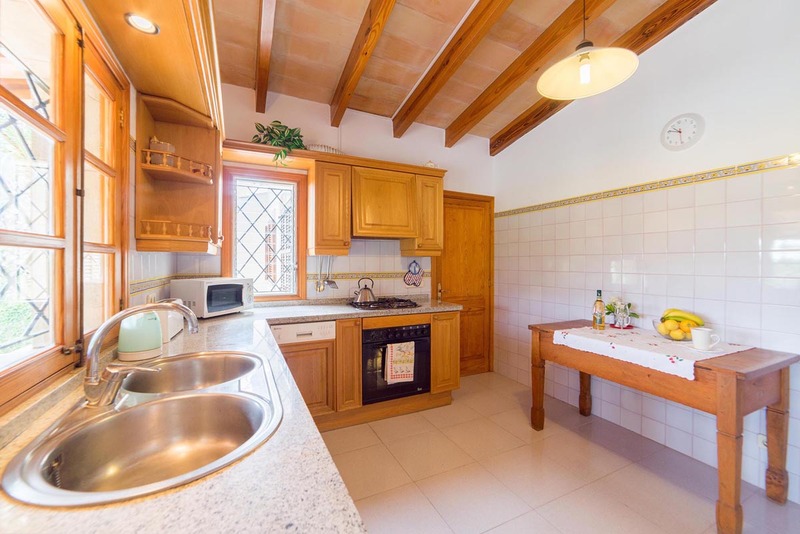 There is also a laundry room which houses the washing machine and a well equipped marble topped kitchen. 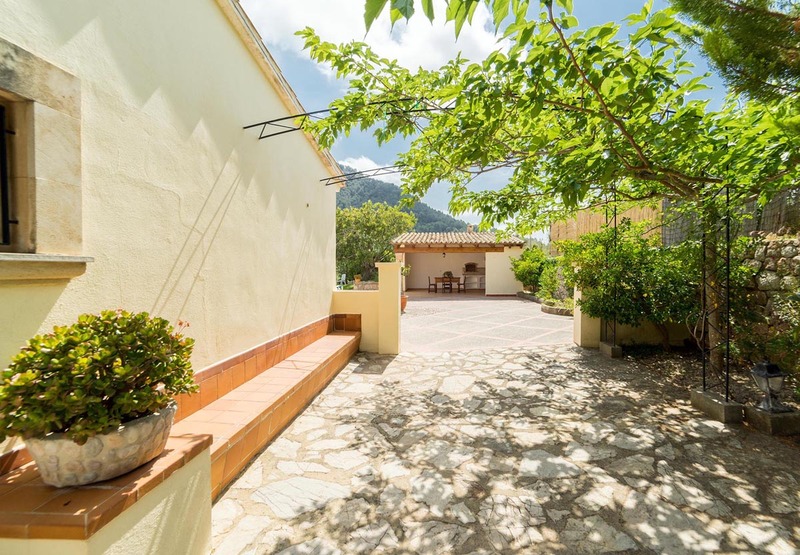 Distance to the town: 700 metres. 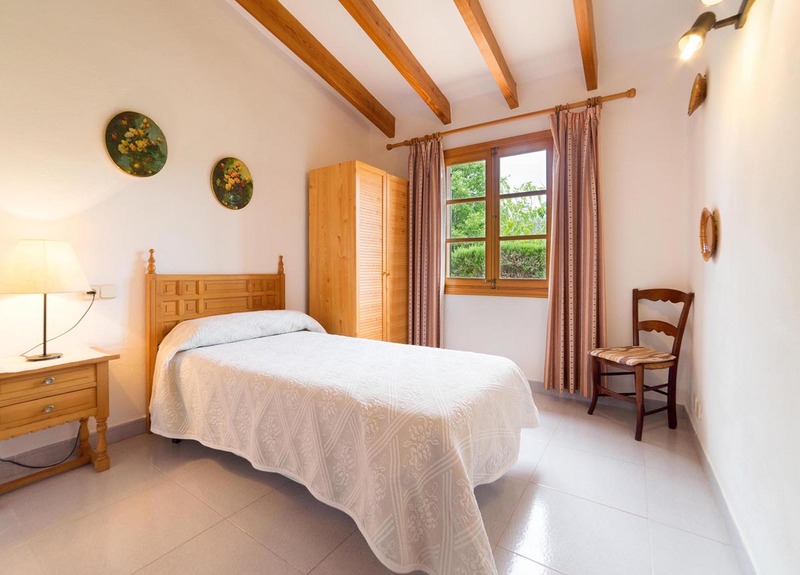 Arrival Days: Any* | *From 30th June to 7th September Saturday to Saturday.